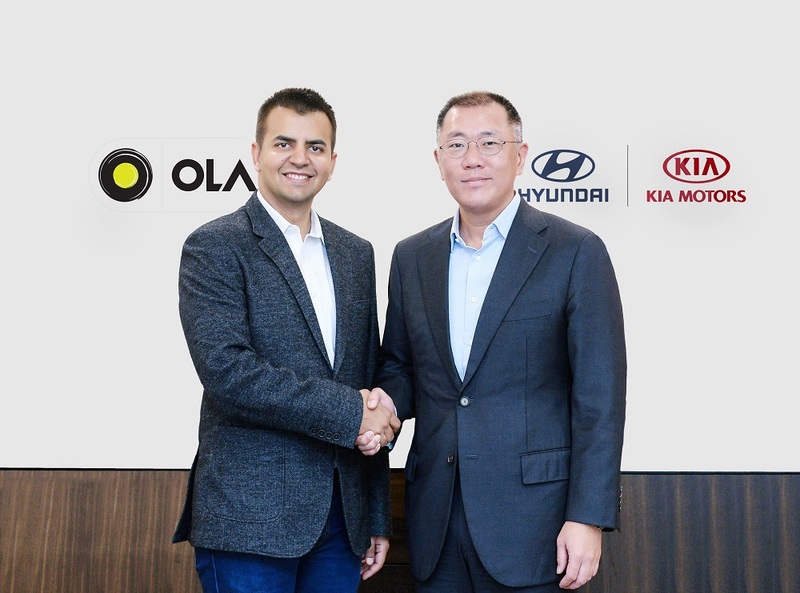 Hyundai Motor Group and Ola - one of the world’s largest ride-hailing platforms - announced a strategic partnership under which Hyundai and Kia will make their biggest combined investment to date, as part the group’s continued efforts to become a Smart Mobility Solutions Provider. The agreement will see the three companies extensively collaborate on developing unique fleet and mobility solutions; building India-specific electric vehicles and infrastructure; as well as nurturing best in class opportunities and offerings for aspiring driver partners with customized vehicles, on the Ola platform. Hyundai and Kia will invest a total of $300 million in Ola. Hyundai Motor Group expects to accelerate its transition from a "car manufacturer" into a "Smart Mobility Solutions Provider", as the partnership’s initiatives will allow it to engage in all aspects across the entire mobility value chain - including vehicle production, fleet operation and mobility services. Ola aims to create over 2 million livelihood opportunities in the mobility ecosystem by 2022. This partnership will help accelerate micro-entrepreneurship in India’s growing pool of aspiring driver-partners. Ola already hosts over 1.3 million partners on its platform and will further empower hundreds of thousands more, with access to tailored offerings across vehicles, financing, insurance and more, substantially bringing down the total cost of ownership for partners.